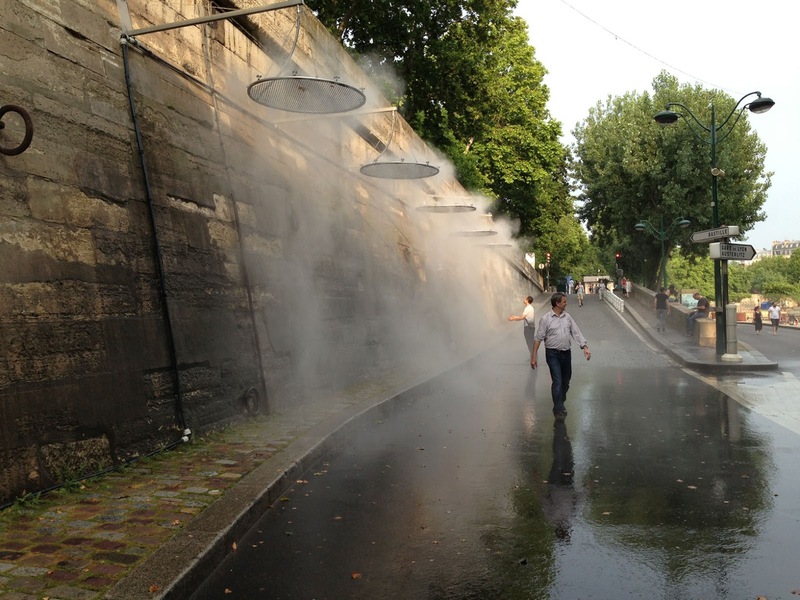 NOTE: Back in Paris in March 2014, I re-ran the route to check if it was just open in the summer. There was good- and bad-news: the good news is that the section between Pont de l'Alma and the Musée d'Orsay has remained open! The bad news is that the stretch on the Right Bank between the Pont Neuf and Pont de Sully is not: it is only free of cars in the summer. But plans are afoot to change that! Time to celebrate! Another big section of the Seine has been closed to car traffic and opened to pedestrians, bikes and -- of course -- us runners. 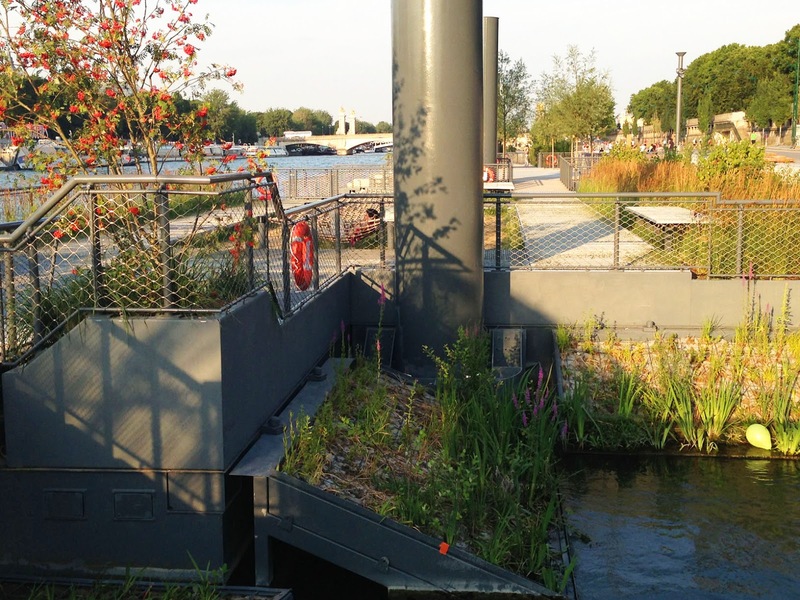 Meet the Berges de Seine, a wonderful project to give the riverside back to the people. 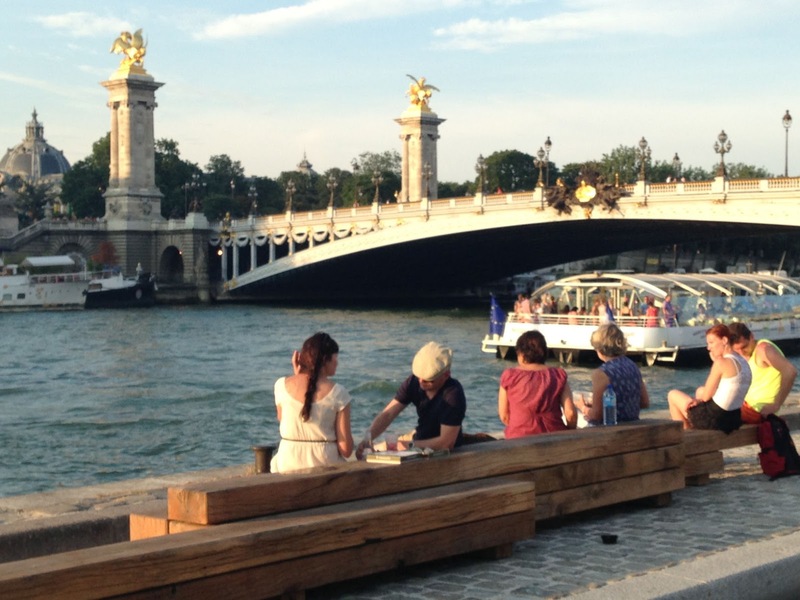 Two sections have now been completed: one of 1.5-km on the right bank, across from the Ile Saint-Louis, and the new one of 2.3-km on the left bank, just opened in 2013, between the Eiffel Tower and the Musée d'Orsay. 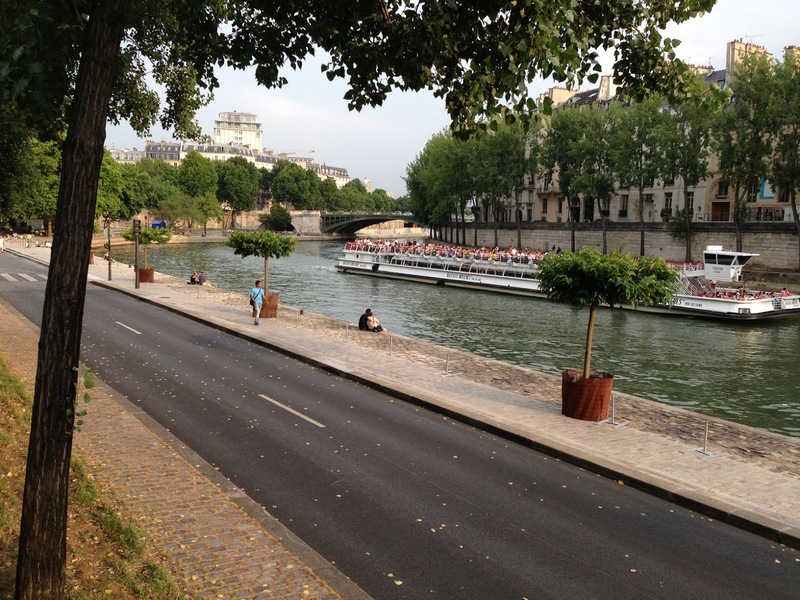 If you've ever walked down the cobble-stoned tow-paths along the Seine near the Ile de la Cité, around Notre Dame, you know how beautiful the waterside is, down below the bustle of the city above. But, until now, most of the waterside quays were blocked by busy streets and railroads. Now, it's one of the nicest runs you can do in Paris. 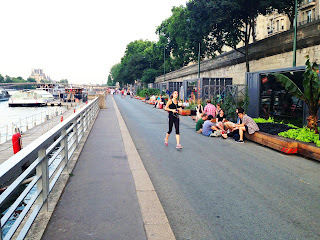 I was lucky enough to run this route during the Paris-Plages festival during the summer of 2013, with a variety of riverside exhibits and activities lining the river. Every summer, the city adds temporary seating areas, sports facilities, wall-climbing, beach bars, art displays, cooling mist fountains, and gaming areas for the festival. I was able to discover the Seine as a pedestrian Eden. Paris-Plages turns parts of the waterfront into riverside beaches with beach-bars and riverside cafés from late July till late August. 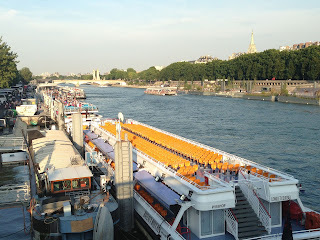 This route simply follows the river from the Pont de l'Alma, near the Eiffel Tower, tracing the riverside eastwards to the island of St. Louis, and then back west along the other side. In other words, we'll run along the Left Bank (south bank) heading east, then take the Right Bank (north side) on the way back. At the starting spot, standing on the Pont de l'Alma, take a look at the Eiffel Tower rising above the river to the right. What a great place to start a run! Now cross the bridge to the south side of the river. At the left bank, turn left to run eastwards, along the Quai Branly embankment, where you take the path down to the waterside. This is the new Les Berges pedestrian riverbank, and you'll find floating gardens and lots of extra benches for the leisure -- non-running -- public. 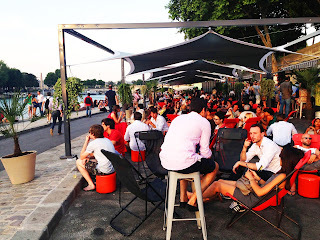 This spot looks like Paris' waterborne answer to New York's High Line Park. Just past the gardens with their five islands, the Paris-Plages sporty area begins: a stretch with a variety of activities available: a skateboard park, playgrounds, climbing walls. Just before beautiful Pont d'Alexandre III (at about the 1-km mark), an area for waterside eating and drinking takes over, with beach bars, sandwich places and lots of outdoor seating lining the river until you get to the Musee d'Orsay. 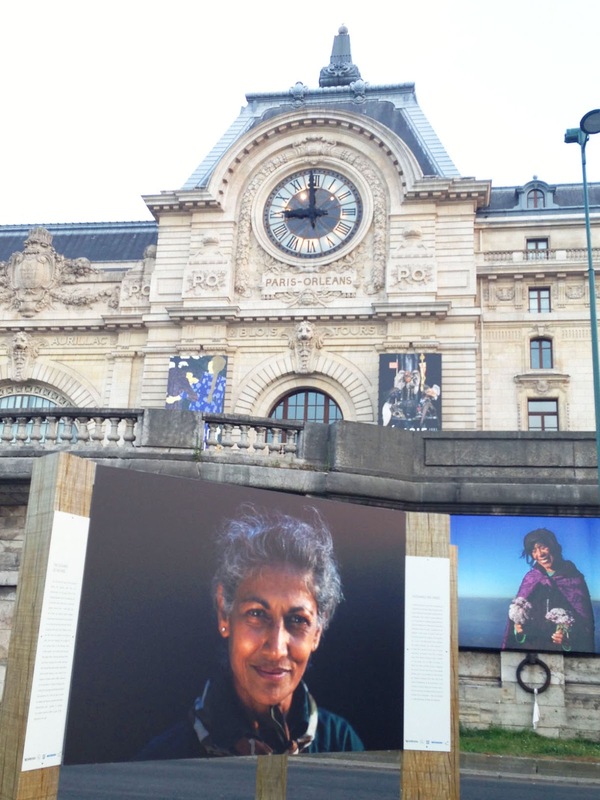 There was a fascinating portrait exhibit at riverside when I ran by there. I don't know how much of this stuff will remain past the summer: I hope it does! After the museum, the quay ends by sloping up to the higher street level, and you will have to run up along the busy street for a block, until you see the first chance to get back down to the water level, after the next bridge. NOTE: The pavement along the path next to the water on this section is pretty rough, and there are various places with missing cobblestones: WATCH OUT! Now, you will see the massive Louvre Palace lining the other side of the river, and come to the small pedestrian bridge, the Pont des Arts. 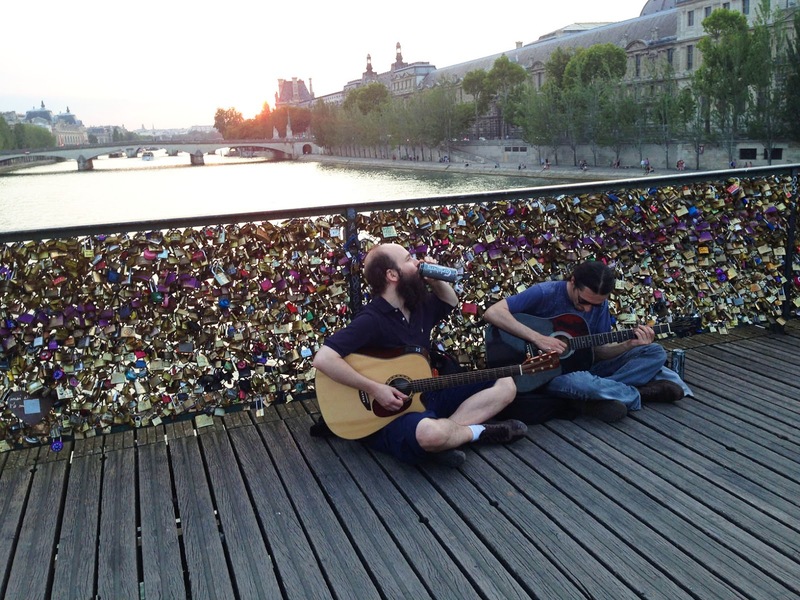 This bridge has been covered by "love locks" in the last decade, and is one of the favorite places for Parisians to meet for a picnic and a bottle of wine on nice evenings. You are now running along the stretch that has always been a pedestrian walkway, with the Ile de la Cité coming up on the left side. Soon, you'll get one of the best views of the run, when Notre Dame lines the river across from you. 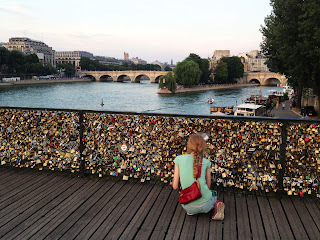 After Notre Dame, keep running for a half-kilometer until you come to the third bridge, the Pont de Sully. Just before the bridge, at the 4.5-km mark, take the stone steps from the riverside up to the street-level above. This bridge crosses the eastern point of the Ile Saint-Louis. Cross the Pont de Sully, run by the little triangular park and then cross the second part of the bridge to the right bank. This is the old Marais neighborhood. Now descend to the riverside again and begin running westwards along the right bank. This is the area that was already cleared of traffic in 2012, the former Georges Pompidou Freeway. This area is also the main site of the Paris-Plages, with lots of beach sand added during late July to late August. NOTE: This is the stretch that is only car-free in the summer. 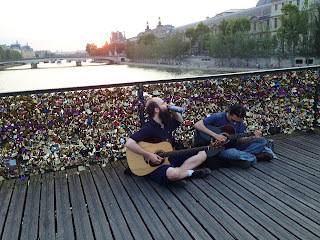 Any other time of year, you'll have to run on the higher street level above the freeway, until after Pont Neuf, where you can head down to the cobblestoned quay down by the water again. Cooling mist at Paris-Plages: it felt great! From now on, you'll pass everything again from the other side, going the other way. 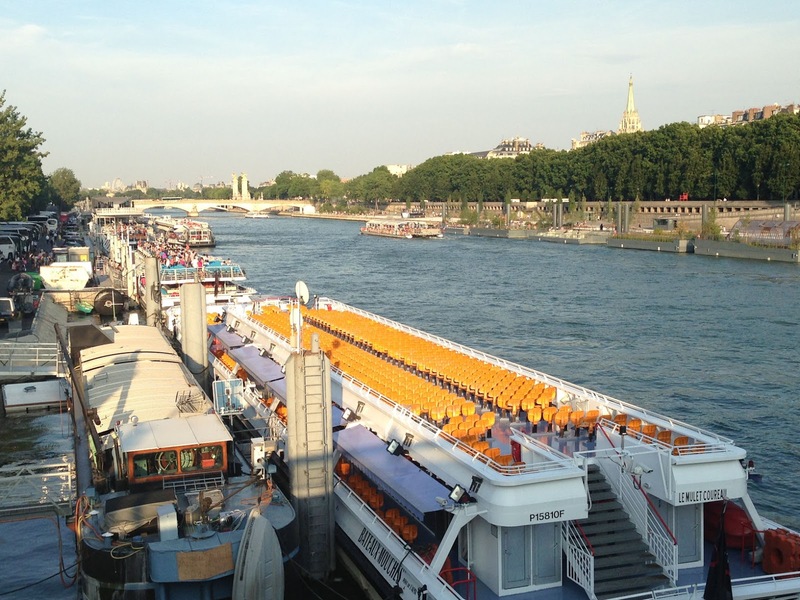 Past the double-level pedestrian Pont Solférino, a long series of houseboats line the Seine. At the Pont de la Concorde, you'll see the French National Assembly building across the street, and the river makes a bend to the left. And at the Pont Alexandre III, with its golden statues, you will see the golden dome of the Invalides Hospital to the left. Now you just have to run under one more bridge and then you will be back at the Pont de l'Alma. During this last stretch, you'll pass the quays where all the big tour boats dock-up.